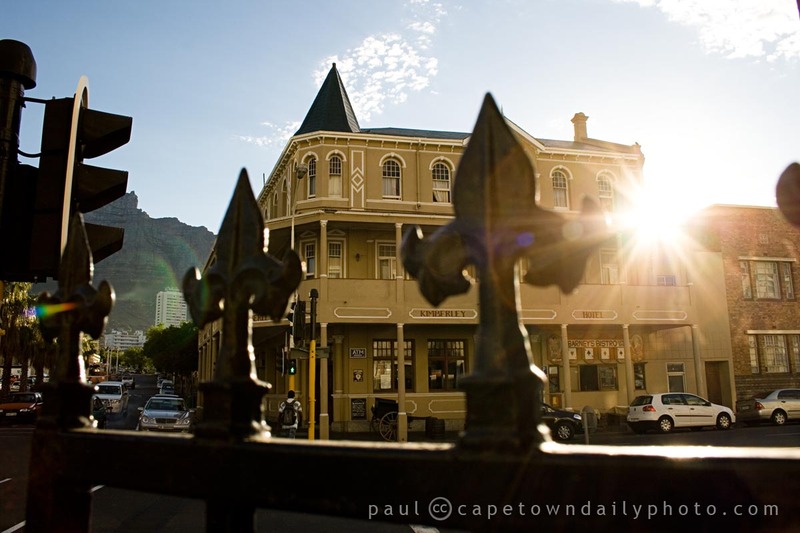 The Kimberley Hotel is now around 114 years old, and besides being a place frequented by members of parliament - for lunch - it was, for many years, the place from which horse-drawn carts would leave for the town of Kimberley, some 830km north-east of Cape Town (as the crow flies). Posted in Sights and tagged history, hotel on Tuesday, 1 December, 2009 by Paul. A fantastic photo of a lovely, historic hotel! Nice work! How do I forward a photo to your website? Thanks Leif Hagen – it’s one of those spontaneous/unplanned shots where being at the right place at the right time is key. Hi Brian, we normally only use our own photos – so there’s no automated way to submit a photo to have it uploaded. We’ve chatted about adding this functionality – so thanks for your message – we may enabling something like this in the next month or two. In the meantime, look for my email address on our contact us page – and pop the photo in a mail – I’d love to see what you have. This Hotel looks an interesting building and one most certainly worth a visit – perhaps even a lunch there would be good thing to do..